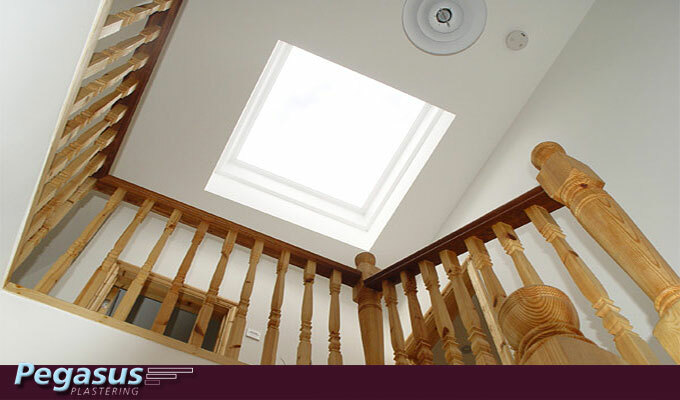 Whether you are renovating, refurbishing or redecorating your home it is always important to have smooth walls and ceilings to work with in order to achieve a great finished result. It is the top coat surface of plaster that gives a wall a smooth and workable surface for decorating, and like many things; the art is in the preparation. 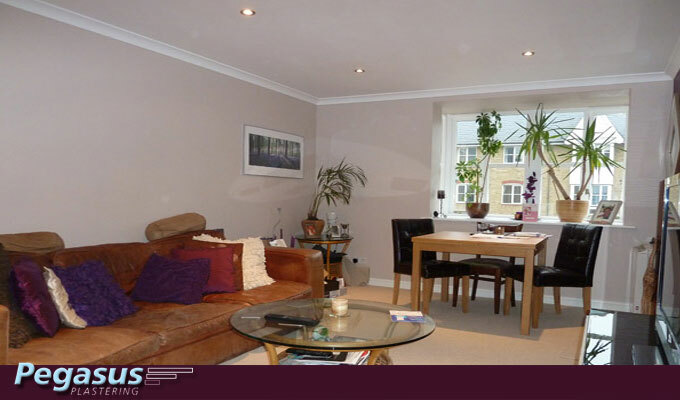 This is when you require the skills of a specialist plasterer to make sure that your surfaces are expertly plastered and hide any imperfections; especially if you are intending to have a painted finish. 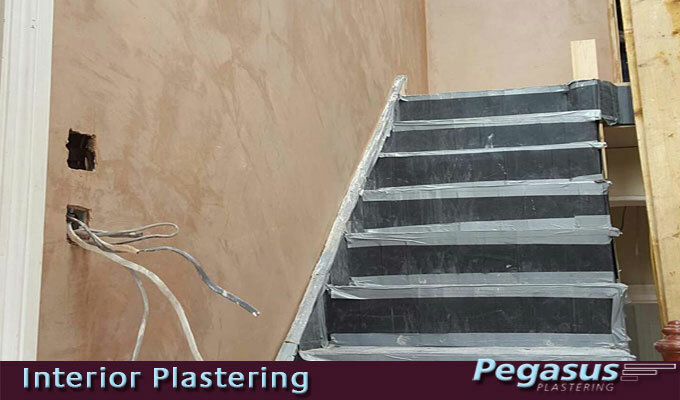 With over 24 years in the trade Pegasus Plasterers not only bring a wealth of experience and specialist plastering skills, but they can also appreciate that whilst relaxing on the sofa after a hard days work;nobody wants to look at unsightly lumps and bumps in the plaster on their walls! 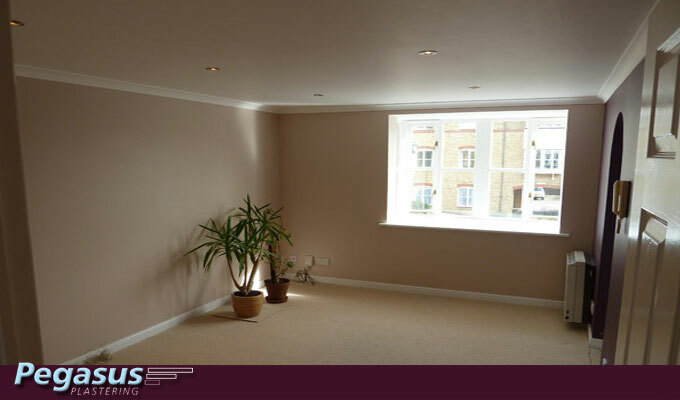 Our plasterers have mastered the art of plastering interior walls and ceilings in both domestic and commercial premises. 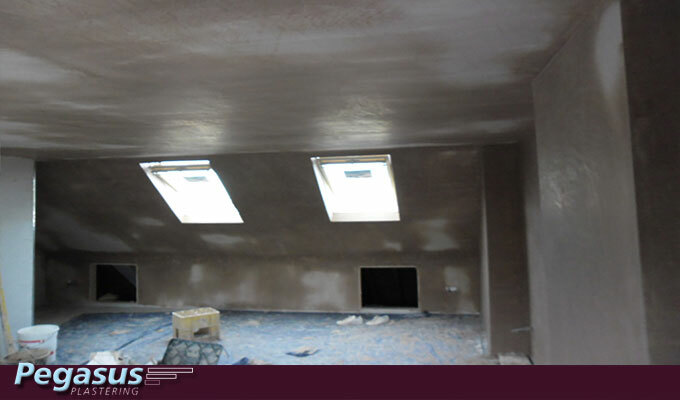 We plaster to create smooth sheet-like surfaces using quality British Gypsum plaster which should last 40-50 years. The exceptional plaster finishes that we produce mean that your ceiling and wall surfaces are literally ready to decorate with paint or cover with wallpaper; the choice is of course yours to decide. 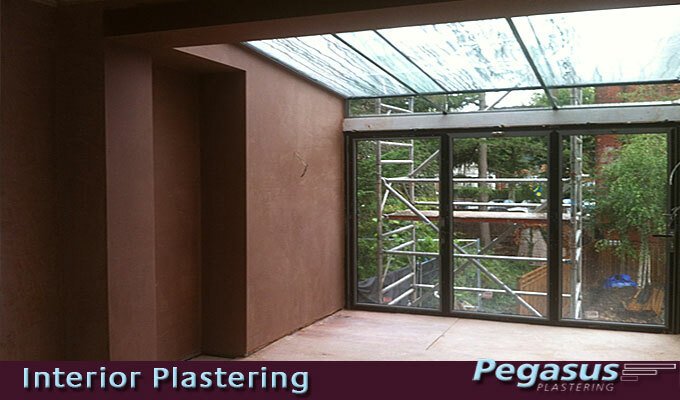 At Pegasus Plasterers we endeavor to give you a blank canvass to create your own homely masterpiece with your personal choice of decorative finishes. 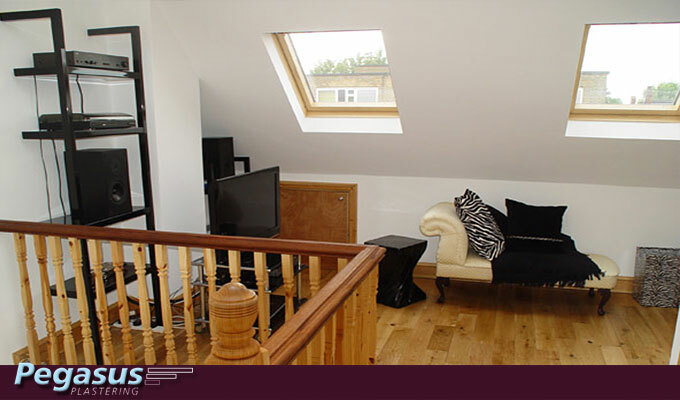 You can read testimonials from our customers here. If you are renovating your home and have original walls that need plaster repairs, patch-work or skimming our experienced plasterers can bring them back to a smooth level surface. Typically we will seal the walls with a PVA adhesive and use fiber tape to scrim over cracks before applying a new top coat of plaster to the wall to give a consistent smooth finish which masks any imperfections. 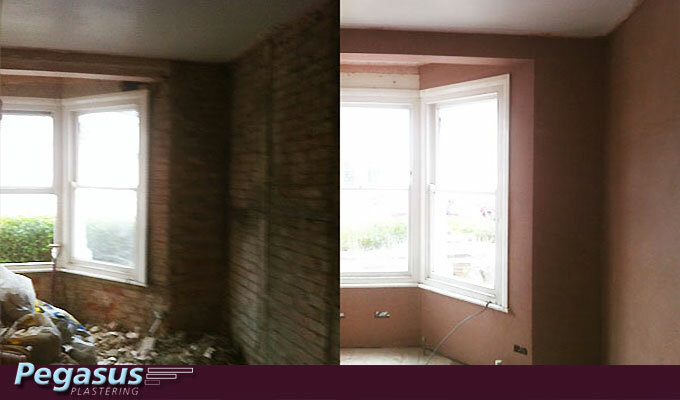 If you are refurbishing an old property and have taken the walls back to the brickwork we can render the walls before covering them with a top coat of plaster to give a smooth plastered finish which is suitable for decorating. In modern buildings and extensions exterior walls are typically constructed using breeze blocks and the interior walls the built using studwork and plasterboard. These are then finished with a top coat of plaster skimmed over the wall surface to give a consistently smooth plaster finish. 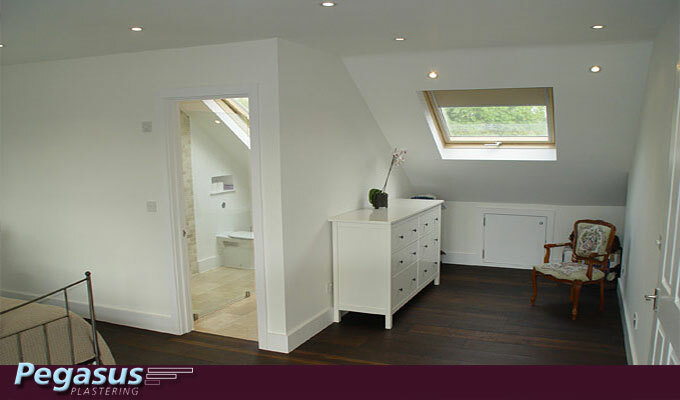 Apart from plastering the walls, we can of course offer install studwork and plasterboard. 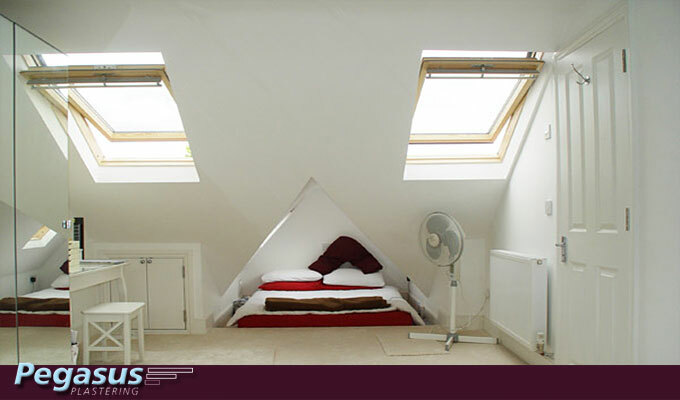 More information on this can be found on the Plasterboard & Studwork page. If you are looking for an exterior finish for the building, you may also wish to consider our specialist exterior rendering or pebble dashing services. 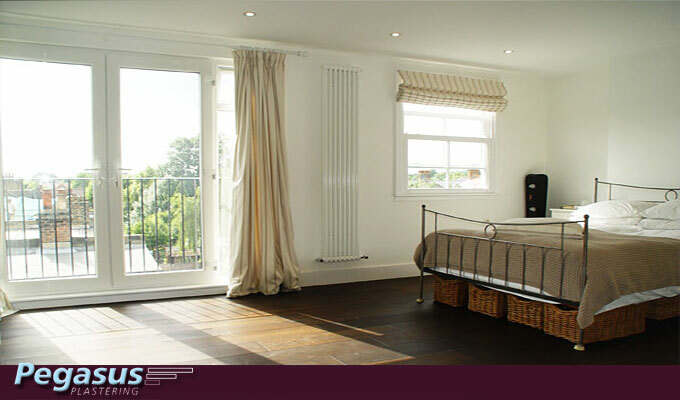 If you are refurbishing your home and are planning to change any of the plumbing or electrics, or perhaps add extra sockets or radiators it is usually advisable to have this done before we do the plastering. 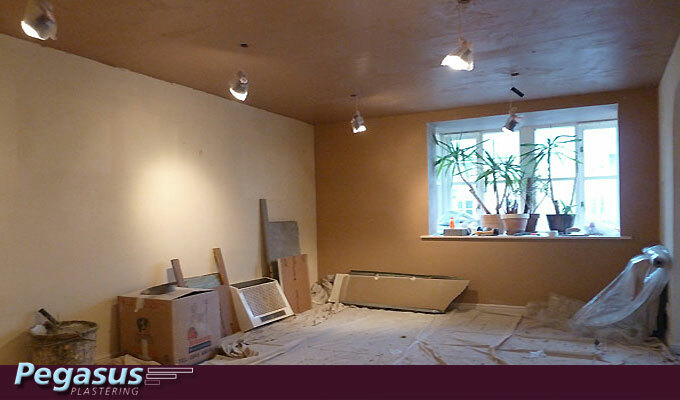 In order to schedule the works for your refurbishment it is best to call us in advance and arrange a date to commence the plastering.